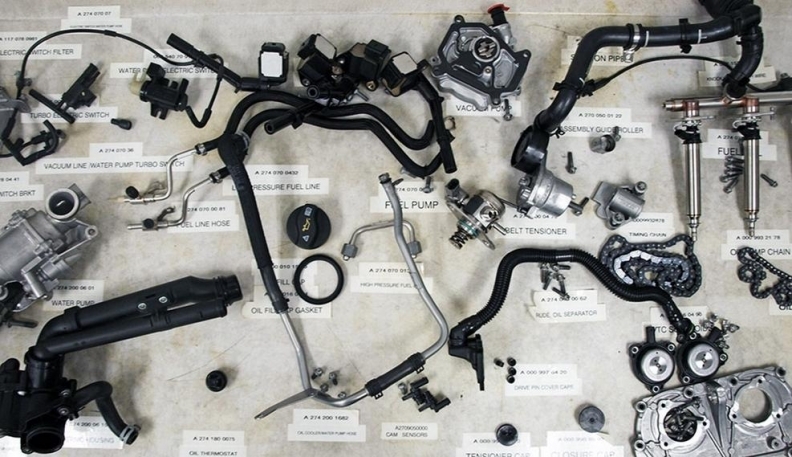 Labeled engine parts are spread across a table for new workers at Infiniti's Decherd, Tenn., plant to learn. This article begins our report on the innovative strategies of three Japanese auto-makers that build engines in the U.S. This week welook at how Nissan is instilling a low-tech Japanese-craftsman mindset in its Tennessee engine workers to prepare them for new expectations of global luxury. DECHERD, Tenn. -- When the oldest of the world's luxury brands partnered with one of the world's youngest to build a new class of engines in Tennessee, quality assurance was a prime concern. To reassure both Mercedes-Benz and Infiniti, a rural east Tennessee factory turned to a Japanese concept called takumi. The plant borrowed a page from Nissan Motor Co.'s engine line in Yokohama, Japan, where four takumi master craftsmen literally hand-build and autograph every 3.8-liter, V-6 engine that goes into Nissan's $100,000-plus GT-R supercar. But it was just a small page. Yokohama has modest needs -- to supply just 1,500 or so GT-Rs a year. Infiniti's year-old plant here is on tap to supply a swelling global demand for its Daimler-designed, 2.0-liter, turbocharged, four-cylinder engines. The plant, built by Nissan to supply both Infiniti and its Renault-Nissan Alliance partner Daimler, has a capacity of 250,000 engines per year. The Decherd plant already ships its engines to the new Mercedes C-class production line in Vance, Ala., which recently notified Infiniti it would take every engine it could send. The plant supplied the global Infiniti Q50 production line in Japan as well as another Infiniti vehicle line in China. And later this year, Decherd will begin shipping still more of the four-cylinder engines to Japan, where they will be installed into Q50s that then will be shipped to the United States, offering the first four-cylinder option in the model here. Company executives have not said so officially, but Decherd also is the logical source -- one might argue the only source -- for all of the engines that will supply Mercedes and Infiniti at a shared auto plant under construction in Aguascalientes, Mexico. That plant will need another 300,000 engines a year. This is no place for slow-moving hand assembly. Robots move blocks into precise position and execute high-speed machining tasks. But mass production just wasn't enough, says Gerardo Leon, director of the Decherd plant. "We want to communicate that we are ready to produce, and have the systems in place to produce, a high-quality luxury product," says Leon, who started his career with Nissan in Mexico 33 years ago. In an age in which automotive manufacturers are seeking quality gains through latest-generation automation, and taking more and more decision making out of the hands of assembly workers, Infiniti has implemented a very human countermove: Every employee who comes to work at the plant must first learn to build an entire engine by hand -- just as the master takumi do in Yokohama. Four takumi craftsmen hand-build V-6 engines for the Nissan GT-R supercar. Infiniti's year-old plant mass-produced 2.0-liter, turbocharged, four-cylinder engines for Infiniti and Mercedes-Benz. Many employees are new to the auto industry. The plant uses a touch of takumi. Every employee must learn to build an entire engine by hand. It is not a necessary part of building the Decherd engines. It is just Infiniti and Mercedes' self-imposed measure to set their North American engines apart from the herd -- at a time when American-made engines are getting better and better. "The mindset that goes into building an entire engine by hand communicates that, no matter what individual job I'm doing here at this plant today, my real job is to get a good engine out the door," Leon says. "It also equips us with a plant full of problem solvers. Companies achieve success when they have people who can solve problems. We want to train our people not merely to do a job, but to understand why their contribution is important and how it fits with all the other jobs. "When we have a problem, we have a lot of people who can relate to all the other workstations. They're not installing parts without knowing what they do." It is more of a tactic than a strategy. Employees can use their training to flag issues on the engine assembly line. All of Infiniti's new job recruits spend their first week in takumi training, first learning about the engine and then making one. According to plant workers who have undergone the training, by the time they leave the training room for their real plant assignment, they know what the machined surface of a piston should feel like; what the correct torque of a cylinder head feels like; where all the bolts are; what the bolts are supposed to look like; which electronics wire fits where; and, just as important, what sorts of bumps and dings are cosmetically unacceptable. Among seasoned car-engine craftsmen, such a skill set might earn a shrug. But Infiniti -- like a growing legion of other automakers around North America -- manufactures in a setting that is far from any population of seasoned car-engine craftsmen. 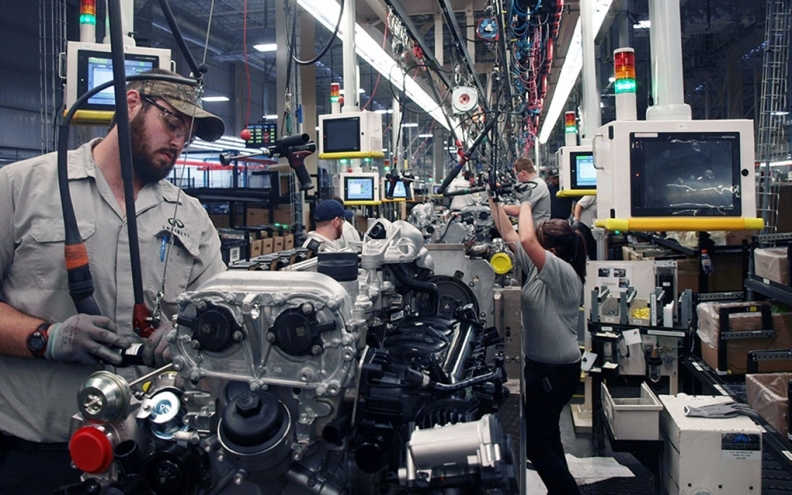 The Decherd plant pulled many of its earliest 400 employees out of the personnel ranks of Nissan's own large powertrain plant that sits next door on this large swath of mountainous landscape. But other local hires have been coming from backgrounds such as Home Depot, farms and construction companies. "I never worked on an automobile when I was a kid," says Tommy Primus, a master trainer technician at Decherd. "I was either hauling hay, cutting tobacco or mowing yards." He held jobs working for a Pepsi bottler and in construction before getting a spot on Nissan's engine line installing heater pipes 12 years ago. "I've done everything I could to learn as much as I could, and that's what got me here," he says. But at the new Infiniti plant, he says, the emphasis is on a deeper understanding of what engines are all about. "Over here, they're going to know the whole engine by the time they get done," he says of new recruits. Managers at the plant are cautious to ballyhoo their quality standards over those of the more established Nissan mother plant next door. They are quick to point out that the Nissan-brand engines that go into North America's Altimas, Maximas, Pathfinders, Titans and other models are perfectly high quality. But Infiniti -- and Daimler -- wanted the new plant to be different. Infiniti says its strategy fills the plant with problem solvers. "When we came here, we asked what we could do to enhance our quality beyond what we were already doing," says Jason Weddington, Infiniti's senior manager for quality at Decherd. "Nissan is already considered to be good. We want to be the best." The plant recently achieved a newly established quality level known globally as "Infiniti 4.5," which sets guidelines on issues from finished product quality to whether workstations are lit adequately. Plant quality officials decided the Infiniti operation needed to be as quiet as possible to enable workers to hear whether machinery was malfunctioning. To lower the sound level, a team enclosed a noisy area where factory pallets are washed. The hard wheels of parts cars were replaced with soft, rubber wheels to eliminate the clatter of parts movement. "What does that have to do with making a luxury product?" Weddington asks. "The quieter we can make the manufacturing environment, the better the chance that a technician will pick up on an abnormal sound that's wrong. If they walk past a piece of equipment and hear a sound, they can stop and bring in maintenance." 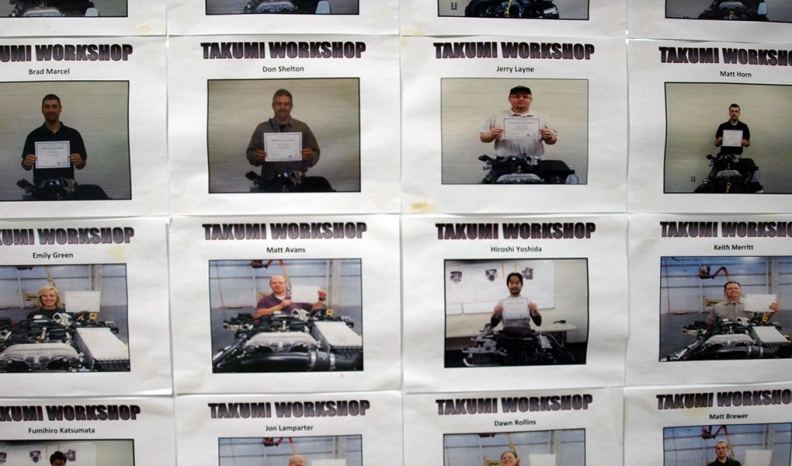 Upon completion of the engine-building course, employees receive a certificate. Technicians are encouraged to keep an eye on other parts of the production process. Meanwhile, Daimler has become fascinated with Infiniti's holistic approach to training. A Daimler engineer who works in residence at the Tennessee plant has taken the hand-assembly training course himself. Visitors from Germany have asked to observe the classes. "In this area," Leon says of the east Tennessee countryside, "for someone who first comes to work here, maybe the only Infiniti or Mercedes they have seen has been passing on the freeway. "When they come into this plant and see the robots moving everywhere, it can be intimidating. "Recognizing that, we say, let's break it down," he says. "This is the engine. Put your hands on it. This is what the parts feel like. This is what they do. This is how the parts work together. "This is how it all fits together."